All of the teachers at Valley Cat Music are passionate about music—and, more importantly, about supporting your child's musical journey. During their classes, they create a fun, informal, musically rich social setting that supports the varied learning styles of both children and adults. All of our teachers have successfully completed the three-day Music Together® teacher-training workshop developed by the Center for Music and Young Children®, Princeton, New Jersey. Deborah, a Registered Music Together instructor and center director, is also a professional singer, Bulgarian vocals expert, and California native—working on stage, in film/t.v., and in the studio (e.g., solo vocals for Steven Spielberg/John Williams on the "Minority Report" score and for Richard Gibbs on "Queen of the Damned" and "Battlestar Gallatica"; backup vocals for Michael Jackson, Celine Dion, Diana Krall, David Crosby; performances live on the Academy Awards, A Prairie Home Companion, and at A.C.T. in Hecuba with Olympia Dukakis, among many other creative endeavors). For 13 years Deborah sang with KITKA Women's Vocal Ensemble in Oakland, an eight-woman a cappella group specializing in Eastern European folk music, before hanging up her costume bag to come to L.A. and make a family. 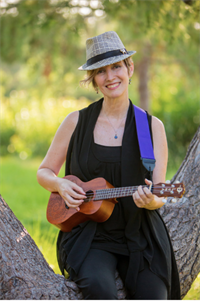 The mother of one daughter, Deborah is thrilled to be a part of the Music Together organization and enjoys combining her life-long passion for music with her enthusiastic support and love for young children. Kat Foster is from Sydney, Australia and relocated to the USA in 2009. When she was young, she couldn’t decide between music and science, so she decided to pursue both. As such, she’s had a varied career, including working as a singer at Tokyo Disneyland, teaching private singing lessons to children, working in a lab on a gene replacement therapy designed to help people living with HIV, starting her own theatre company in New York City, and working at a fertility clinic, helping families through the emotional IVF process. Kat started taking her two children, Charlie and Emily, to Music Together classes at Valley Cat Music in 2016 and has loved watching them grow through the program. Charlie and Emily have been through many stages since they started classes—sometimes participating enthusiastically, sometimes lying down and looking like they’re not paying attention. And that’s why Kat loves Music Together—because children are able to watch the grownups they love have a great time singing and dancing, without any expectations, and are able to participate when they are ready. Kat’s "quiet observers" in class often jump in the car afterwards and belt out their favorite songs, showing how much they’re taking in. Having completed the teacher training in June 2018, Kat has loved sharing her experience and her love of music with families over the summer session. She can’t wait to continue that journey with Valley Cat Music. Kat is also available to bring the music to your children’s party! Please see "Music Parties" under Store for details. From Salt Lake City, UT, Annie began singing and playing piano at four years old. She went on to receive a full scholarship in vocal performance at the University of Utah, and also performed with The Utah Chamber Artists, a renowned professional choir. It was during that time that Annie began teaching herself guitar and writing her own songs. After settling in Los Angeles Annie continued to hone her song craft and eventually created a pop duo, LITTLE & ASHLEY, with her husband Marcus Ashley. They are best known for their songs that were featured in a series of Amazon Kindle commercials in which Annie also starred. Annie discovered Music Together classes with her daughter Lake and loves that through teaching she is able to combine her deep love of music with her support of children and music education. Annie is also thrilled to follow in her own mother’s footsteps, who has been a lifelong piano teacher and music educator. 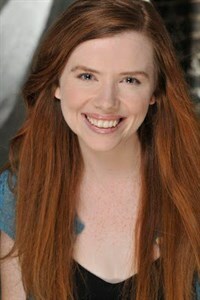 You can learn more about Annie and listen to LITTLE & ASHLEY music at http://www.littleandashley.com. Daphna is excited bring her beautiful voice and soulful spirit to Valley Cat Music. Having recently relocated to L.A., Daphna's previous position was as the director of a large parent and child center in Miami Beach, where she also directed the school's Music Together program. 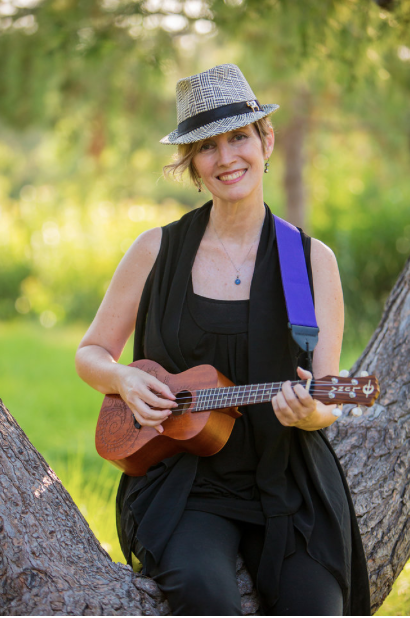 She is passionate about the experience (and identity shift) of new mothers during the early childhood years and believes that through music, children and their caregivers can become bonded in meaningful ways. Daphna has sung in wedding bands, radio commercials, and worked as a the lead singer and actress in Time Warner Hong Kong's EnglishTime program. 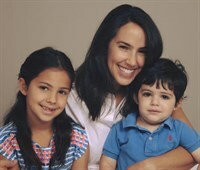 Having lived in Israel and then Miami Beach for many years, she is back in Los Angeles, her hometown, with her husband and two children. One of Valley Cat Music's fantastic teachers will lead your class — to be determined ASAP.